A low impact but high intensity workout using the pilates reformer. 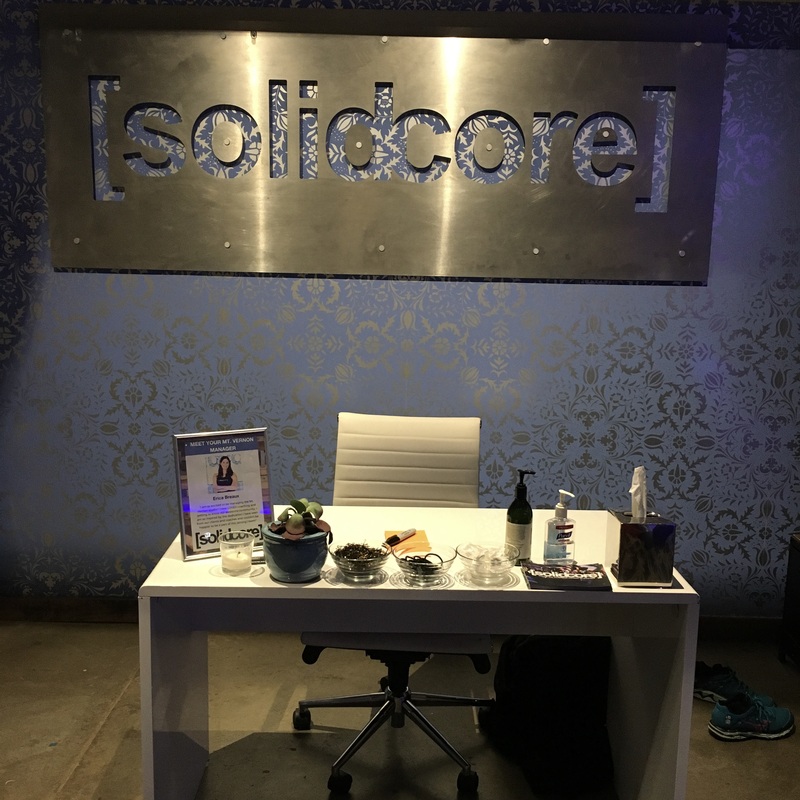 What to expect at your first Solidcore class and a full Solidcore workout class review. It’s Wednesday and I am still feeling sore from trying my first [Solidcore] class at the Mt. 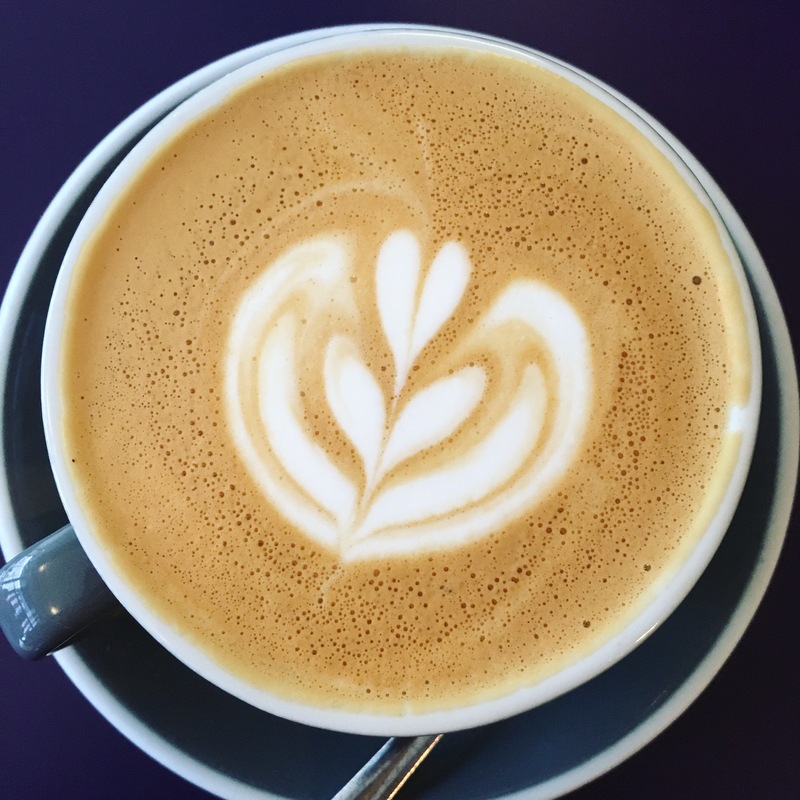 Vernon Triangle location in DC on Monday, did you follow along on Instagram? Being a cardio and strength training girl, it’s hard for me to slow down and focus on small movements, holds, and pulses, but I know part of any good fitness plan is challenge and variety. A [Solidcore] workout was just that for me, 50 minutes of high intensity, low-impact slow movements, that lengthen and tone your entire body. 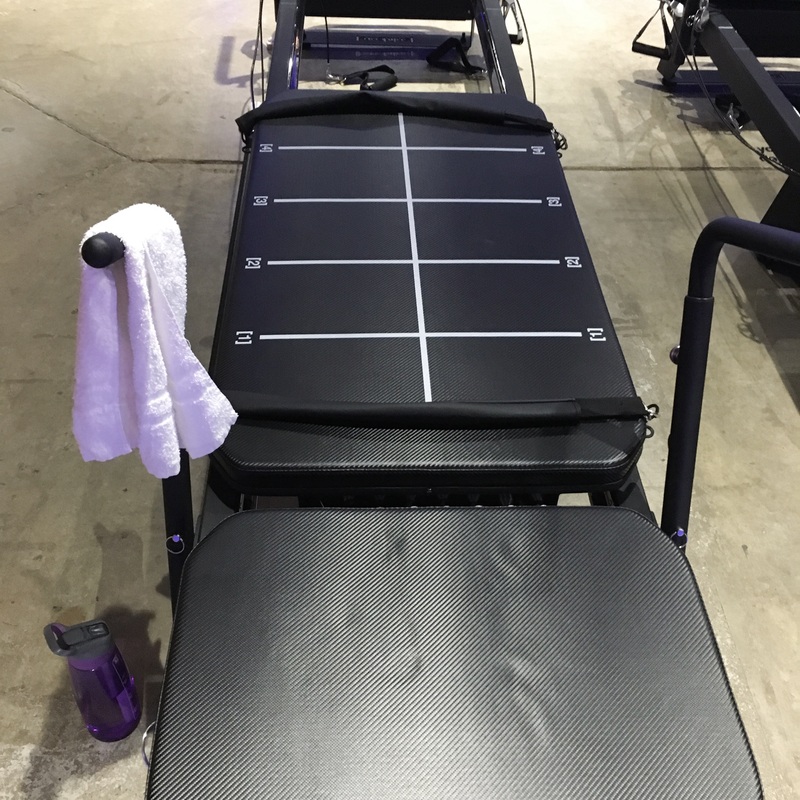 Here is what to expect at a Pilates Reformer Class; a Solidcore Class Review. The 50 minute class is a full-body training session. You use a resistance based machine, weights, and bands, to perform a variety of exercises such as planks, lunges, and squats in special grip socks or bare feet. The idea is to make slow and controlled movements and work your muscles to the point of failure to create muscle tone and definition. A coach guides you through the entire workout. Unlike most fitness classes they will not be using the equipment, but rather circulating the room ‘coaching’ you through each movement. This can be difficult, since you’re just listening to cues, but it’s helpful to look in the mirrors and watch the people around you. The coach will also come around to correct form or give you reassurance you’re doing a movement correctly. Throughout the entire workout the coach counts down moves and acts as a motivator to finish each exercise. It was mentally helpful to know there were only 4 seconds left of an exercise to push myself through. [Solidcore] uses their very own machine called ‘Sweatlana’. The machine has eight easy to change colored springs for tension. Leather straps that are sweat and smell proof are used to hold your feet throughout the workout. And the machine has a power coated aluminum based body. It has a technical ‘front’ and ‘back’, which the coach will refer to throughout the workout. I personally think they only look long and intimidating because they are designed for the length of your body. With the straps and handle bars I always felt secure moving the platform and getting on and off. What’s a [Solidcore] Class Like? As soon as I arrived the instructor Craig was very welcoming. He showed me where to place my belongings, get a towel, and set me up on a machine near experienced [Solidcore] members. Before class began he taught me a little about the machine, explained the tension springs and colors, discussed safety information, and demonstrated a few of the common moves we would be doing in the workout. The class began with an AB series of planks, pikes, holds, pulses, by the end my ABS were absolutely on fire and I found myself even needing to modify a few of the moves. Thankfully abs were over at the beginning of the workout, we then quickly moved into a leg series including many different lunge variations. My legs have never shaked so much during a workout. After working our left leg we went into an oblique series, before returning to do each movement on the right leg. Then we went into a quick arm series with push-ups and bicep curls. Each individual machine had a motivational quote on the floor by it I kept staring at throughout the workout. Craig explained a few of the modifications before class and reminded us we could modify when needed. For almost ever move there was a variation to make it more difficult, adding weights or easier such as going down to your knees. While it is considered a high intensity class, because of the low impact I usually find that I don’t sweat as much, even though I definitely worked some of my muscles to the point of failure. But still a towel and water were necessary! Even though I had to modify and take occasional breaks during a series, the 50 minute class went by extremely fast. I was surprised by how quickly we went into each movement and that there were no designated water breaks. You sipped and toweled off when necessary. Pricing: I paid $10 for a single first time class. They offer unlimited class options or you can choose a package ranging from $25-$35 per class. Class Size: Depends on the studio, but typically no more than 12 people which is great for personalized attention. What to Bring: If you don’t want to workout in bare feet, bring socks with the grips and a water bottle, that’s it! 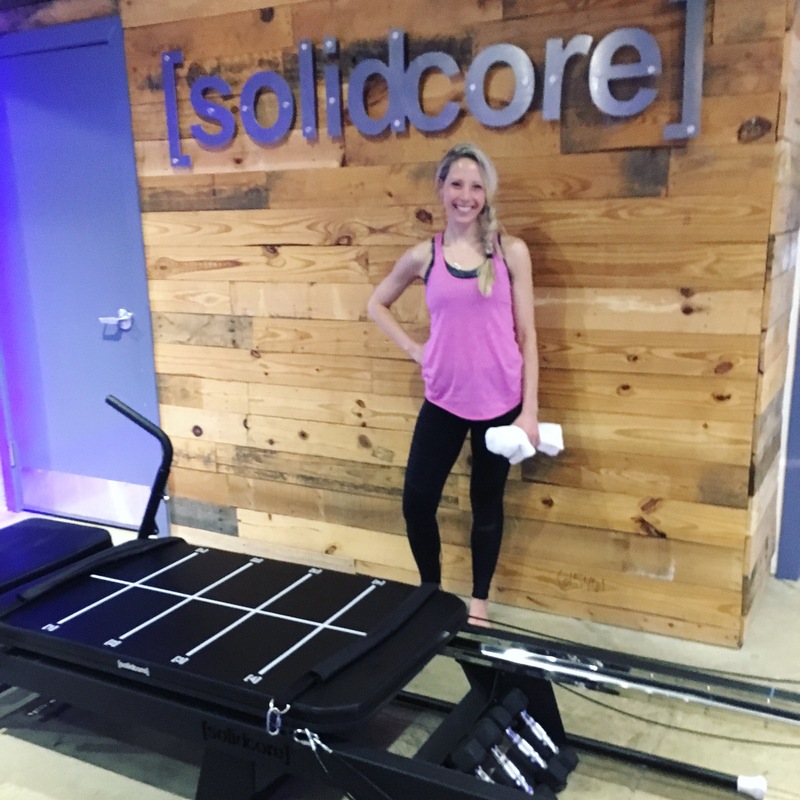 Other Classes Offered: I took a traditional [Solidcore] Class, but they also offer [Solidcore] 101 for any type of participant where you gain a deeper understanding of the machine, proper form, and exercises. They also offer an Arms & Abs class where you just target your upper body. Class Frequency: It’s recommended you take two days off between each [Solidcore] class since the point of the class is to work your muscles to failure. Which means they need time to recover. I would suggest doing a [Solidcore] class up to three times a week. Locations: They have locations in DC, Maryland, Virginia, Georgia, Pennsylvania, and Minnesota. Would I return? YES! I love that the [Solidcore] workout is different from my normal routines and something I cannot do on my own at home. 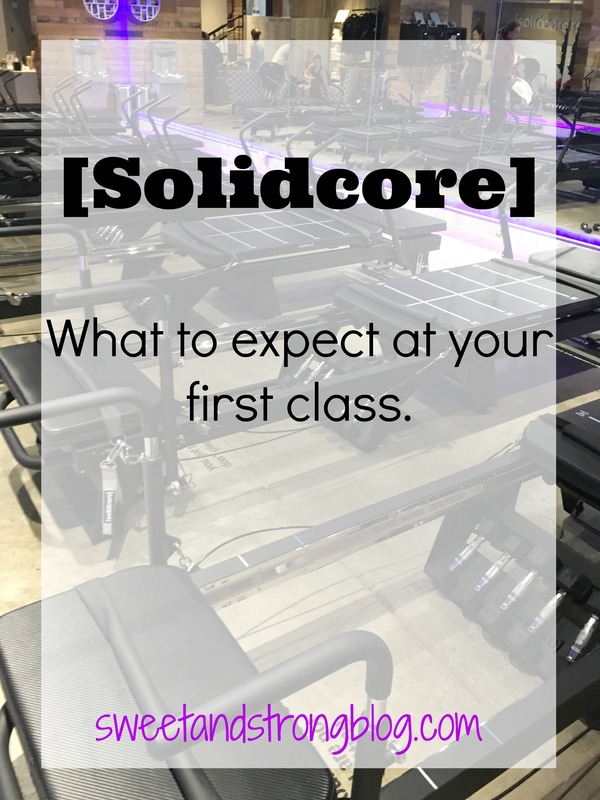 I have several other classes I want to try around the DC area and wish [Solidcore] was on Classpass to make it easier to attend. Of course after a good workout there was yummy food. My sister attended class with me so after we stopped at A Baked Joint for coffees before doing some shopping. 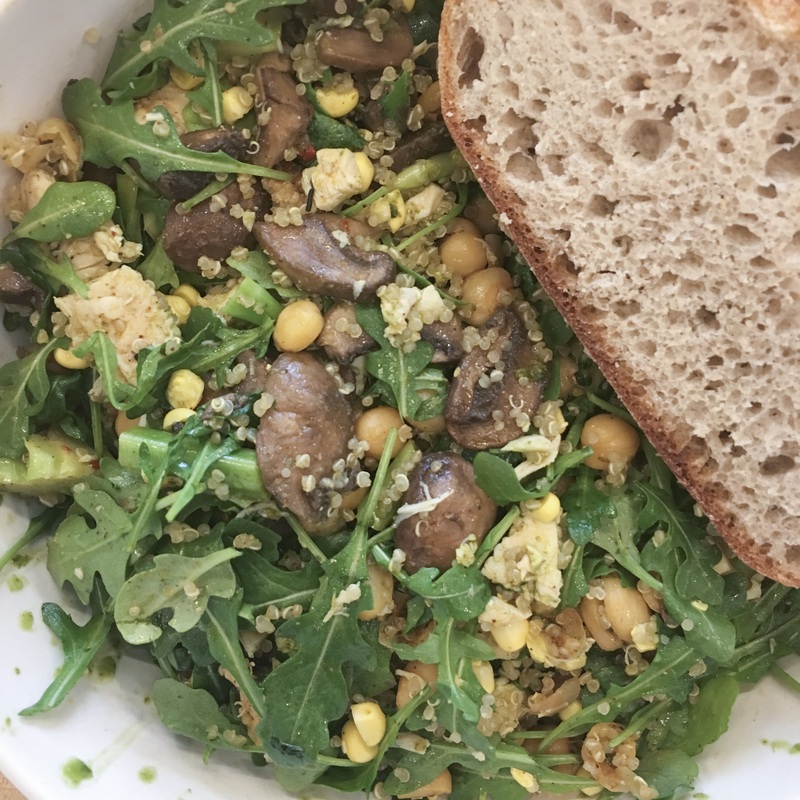 Soon we were both starving and decided to go to Sweetgreen for lunch where we both ordered the Mushroom Pesto Salad. It was delicious and I ate every last bite. Linking up with Annmarie, Nicole, Michelle, and Jen for Wild Workout Wednesday. Check out other great Gym or At Home Workouts on my Fitness Page. When was the last time you tried a new workout class? Do you prefer Total Body Workouts or Individualizing Muscle Groups? 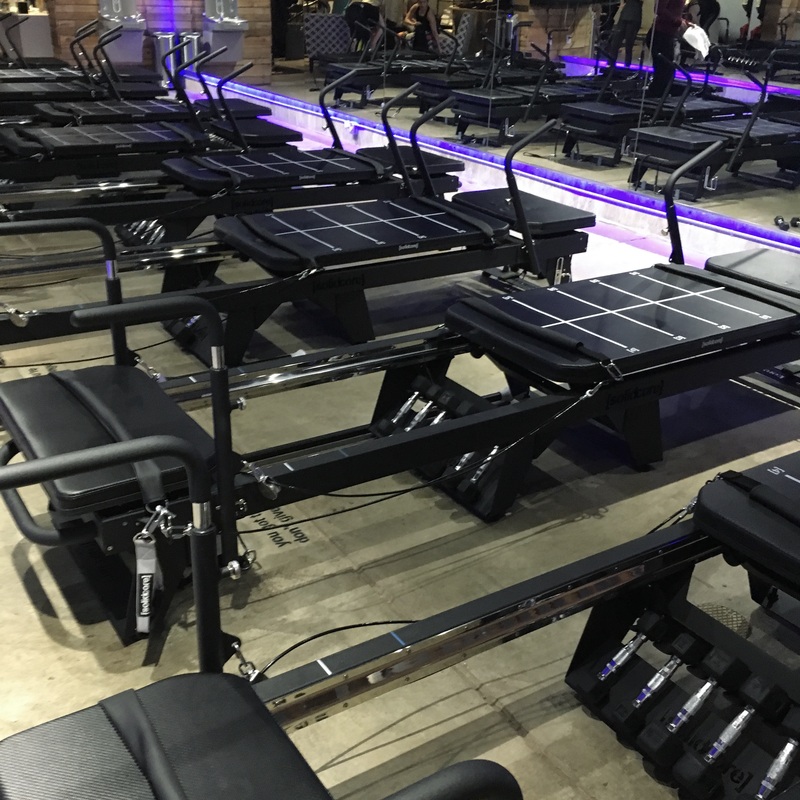 Have you tried a Reformer class? We had a studio open up by us last year and I tried it a few times. Wow it was much more challenging that I expected! It was definitely much harder than I expected. And I am still so sore! So crazy how little movements get you like that. I’m a huge fan of total body workouts! I’ve actually never heard of this one–it looks great! I’ll add it to my post-pregnancy list! haha! Yes congrats on your pregnancy. You’ll def have to give a try sometime. Yes! I feel the same way Kimberly. Growing up there were just gyms, but now there are so many studios where you can take a single class! I have never heard of this, it sounds fun! I love trying new classes- there are so many out there! This weekend I’m trying out a Bodybar and Cyclebar class…should be interesting!! 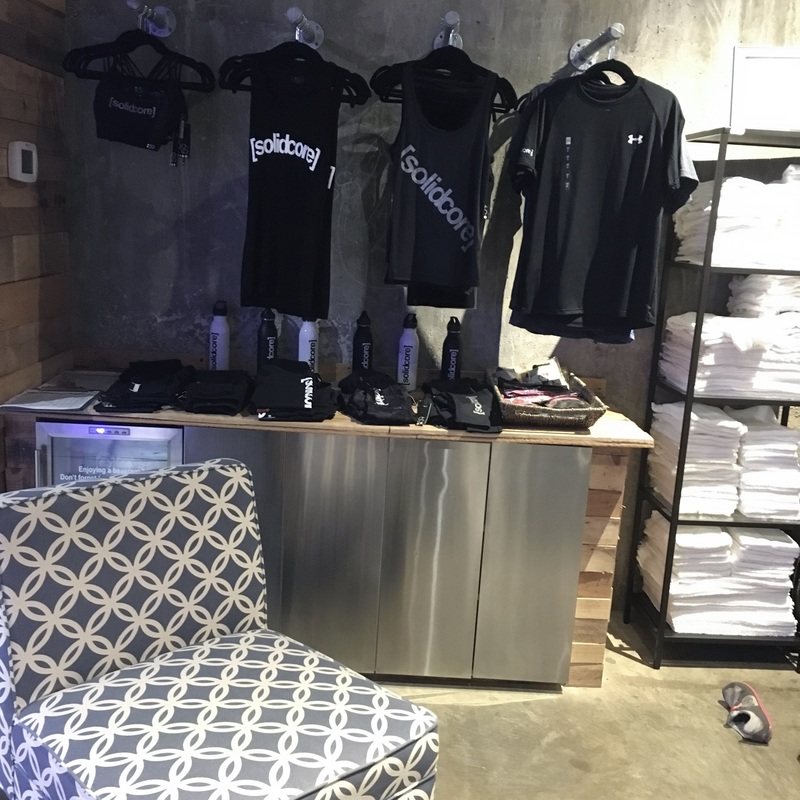 Oh Bodybag and Cyclerbar sound awesome! I’m assuming you’re using a weighted bar? I would love the mix of cardio and strength training. I’ve heard a lot of great things about Solidcore but I’ve never had the opportunity to try out a class! If you get the chance Annmarie you should! It’s a great unique workout. Sounds like a cool class! I’ve never tried those machines. I’ve done two really awesome classes on them, so I highly suggest giving it a try if you get the chance! This looks like a great class! I’ve never been to a group class like this. There aren’t any like this near me! What a fun class! I am more than a little jealous of all the classes in your area! I’ll have to try it when I visit DC! Sounds awesome and so challenging! Thanks for sharing the experience! Of course Michelle, you should definitely try a class if they are in your area. This sounds like a really good one! I feel like the east coast has all the best stuff. I still miss Fly Wheel!